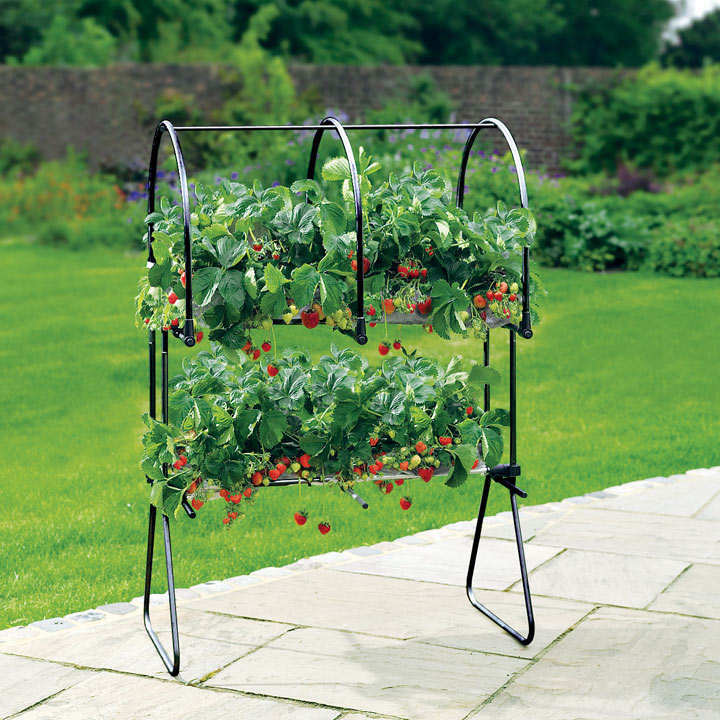 This clever strawberry table top supports 2 x 1m grow bags (approximately 10 plants per bag) to produce three successive crops over a three year period before plants and compost need to be replaced. It makes growing strawberries easier, with larger and better quality fruit produced compared with traditional methods of growing. Bottom shelf 50cm, top shelf 90cm. 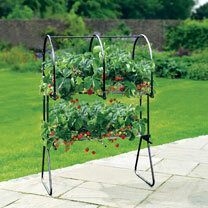 Made from galvanised steel with a black polymer coating in a textured matt black finish. Comes complete with netting to protect from predators. (Grow bags not included). Measurements: 1.45m (4'9") Height; 1m (3'3") Width; 0.63m (2') Depth. Comes with a 15 year Guarantee.